The Greater Smithfield-Selma Area Chamber of Commerce Board of Directors has gone on record in opposition to the I-95 Corridor Planning and Finance Study that was released by the North Carolina Department of Transportation in January and included tolls as the way to finance improvements. The Board is concerned that there is a lack of information on the economic impact the plan could have on the thousands of businesses that significantly rely on the highway. 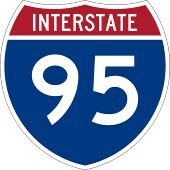 The Chamber does support the modernization of Interstate 95 and requests that the NCDOT undertake a comprehensive economic impact study of tolling I-95, announce the results, and fully investigate, inform and publicize alternative sources to finance future improvements to the highway. A recent survey of Chamber members showed that 70% of those who responded opposed the I-95 corridor plan. Over 80% use the highway at least once a week and most feel that I-95 is important to their business. Members are concerned about how the plan affects local travel within the county with the tolling of exit and entrance ramps, the cost the plan would have on out-of-state travelers (coupled with the high gas tax) and the fairness of just tolling I-95 and not tolling other interstates in North Carolina when those highways need improvements.